WASHINGTON, DC, December 9, 2010 (ENS) – The U.S. EPA is seeking an extension in its court-ordered schedule for issuing rules that would reduce air pollution from boilers and solid waste incinerators. The agency says it needs more time because information that industry presented during public hearings on its first proposal makes it necessary to re-propose the Boiler Maximum Achievable Control Technology (MACT) Rule. EPA is under a court order to issue final boiler rules on January 16, 2011. In its motion filed Tuesday in the federal District Court for the District of Columbia, the EPA seeks to extend the schedule to finalize the rules by April 2012. In order to meet the court order requiring the issuance of final rules in January 2011, the agency proposed standards in April 2010. While EPA requested and received some information from industry before the proposal, the comments EPA received following the proposal shed new light on a number of key areas, including the scope and coverage of the rules and the way to categorize the various boiler-types. “After receiving additional data through the extensive public comment period, EPA is requesting more time to develop these important rules,” said Gina McCarthy, assistant administrator for EPA’s Office of Air and Radiation. 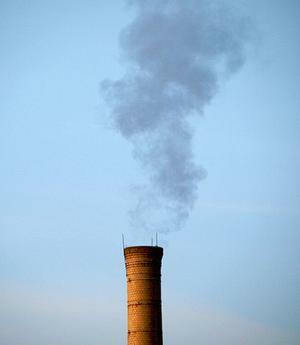 The rules, which require boilers to use maximum achievable control technology, are intended to cut emissions of harmful pollutants, including mercury and soot, which cause health effects from developmental disabilities in children to cancer, heart disease and premature death. “We want to ensure these rules are practical to implement and protect all Americans from dangerous pollutants such as mercury and soot, which affect kids’ development, aggravate asthma and cause heart attacks,” McCarthy said. 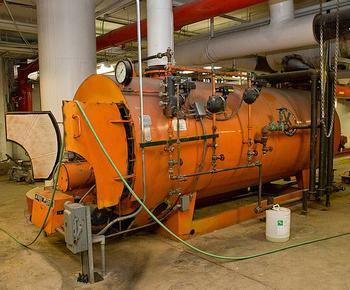 EPA estimates there are more than 200,000 boilers operating in industrial facilities, commercial buildings, hotels and universities located in urban areas and smaller communities across the country. The boiler industry, represented by the Council of Industrial Boiler Operators, released a study in September that projects up to $113 billion in compliance costs and over 300,000 jobs “at risk” associated with the proposed boiler rules. The economic impact study conducted by IHS Global Insight has been used to lobby against the proposed boiler rules before Congress and the EPA. The study analyzed three different compliance scenarios that could result depending upon how EPA finalizes its proposed Boiler MACT rule for Industrial, Commercial, and Institutional boilers and process heaters. Across all three scenarios, the study found that every $1 billion spent on upgrade and compliance costs could put 16,000 jobs at risk and reduce the U.S. Gross Domestic Product by $1.2 billion. But the National Association of Clean Air Agencies criticized the boiler industry study on factual grounds. NACAA says the number of sources that must install controls was grossly overestimated by the study, and the projected cost of the rule did not incorporate positive economic benefits from new capital investment, including the creation of new jobs. The boiler industry study failed to include the positive impacts of increased life expectancy, reduced health care costs and other health-related benefits were not factored in the report, NACAA said. EPA has estimated that for every $5 spent on reducing these pollutants from industrial boilers, the public will see $12 in health and other benefits. In addition, NACAA said, one-time project costs were overestimated; and assumptions about the negative impact of investments in pollution controls are unlikely in the current economy. “Specifically, we encourage EPA to set standards based on what real-world sources actually can achieve,” the industry associations wrote. On Tuesday, the EPA told the court that after reviewing the data and the more than 4,800 public comments, the agency believes it is appropriate to issue a revised proposal that reflects the new data and allows for additional public comment. The American Forest & Paper Association, whose members operate many boilers, has joined members of Congress of both parties in calling on the U.S. Commerce Department to publicly release its analysis of the economic and job consequences of the boiler rules. U.S. Senator Olympia Snowe, a Maine Republican, said she is encouraged by the EPA’s decision requesting a court delay of the boiler rules.